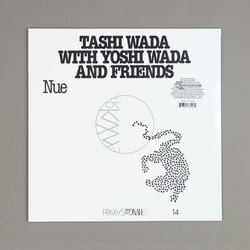 Tashi Wada with Yoshi Wada and Friends - FRKWYS Vol. 14 – Nue. Vinyl LP, CD. Bleep. Introspection breeds creativity, and in turn that creativity drives us forward and closer to the world. So is the case on FRKWYS latest instalment, ‘Nue’. Heralding from the talents of Japanese composer Tashi Wada and his father, Yoshi Wada, of Fluxus movement notoriety, the duo now commit their work to a studio setting, an irregular occurrence despite their years of collaboration. 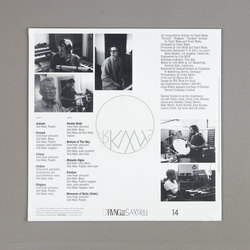 Welcoming Julia Holter, Corey Fogel and Ariel Pink producer Cole MGN into the fold, Wada and friends present a fiendishly bold body of delicate sonic binaries. Described by Tashi Wada as resembling an “endless night of dreams”, the work often revolves around mesmerising bagpipe performances executed by Yoshi.